Welcome to Minnesota: Land of the Cold, Home of the Shivering. As chilly as our winters can get, I have to say that I've weathered them quite well. Now, you can too! You just need the right park model for a cozy Christmas getaway. 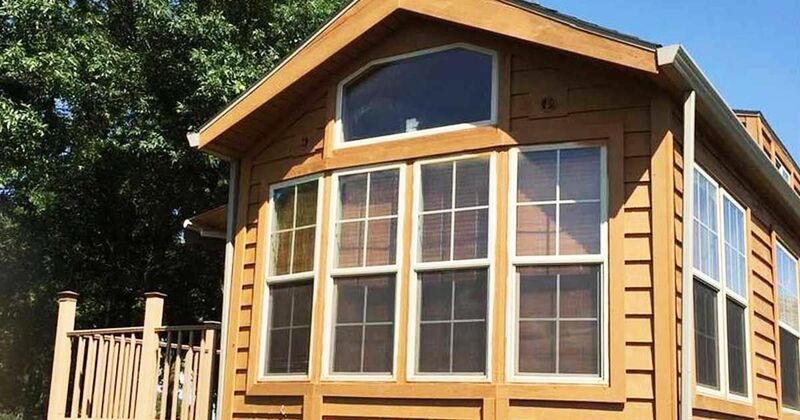 This 2012 park model in Rushmore, Minn., has central air and heating to keep you comfortable during all seasons. Not only that, but it has a special feature that's sure to delight visitors. We speak, of course, about the spacious deck on the side of the park model. It comes with a large awning, but it's not just outdoor entertaining that the builders had in mind. This unit also has a gentle ramp for easy access. No matter what age or mobility level, anyone can have access to this spectacular park model for a nice, relaxing vacation. 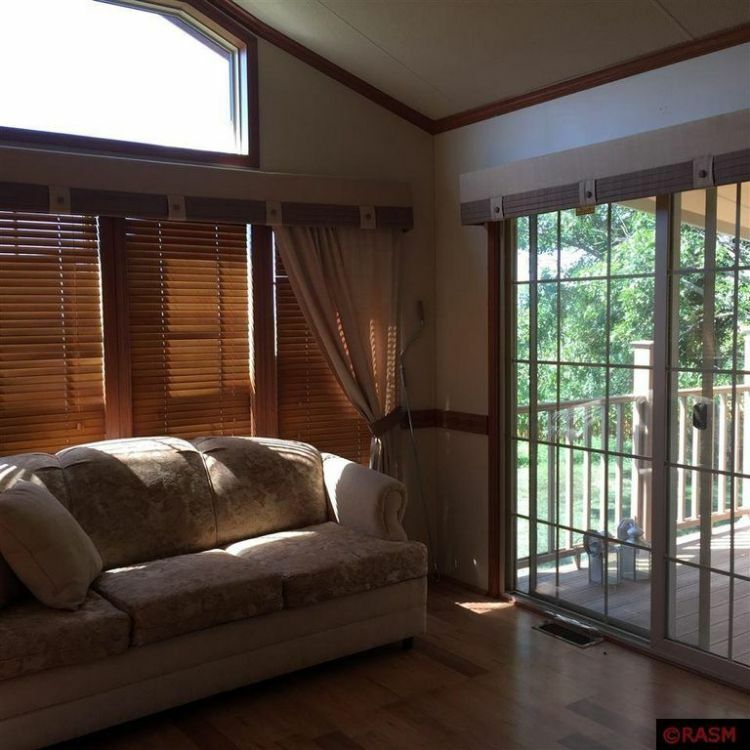 The living room is bright and open thanks to the paneled glass doors and tall bay windows. 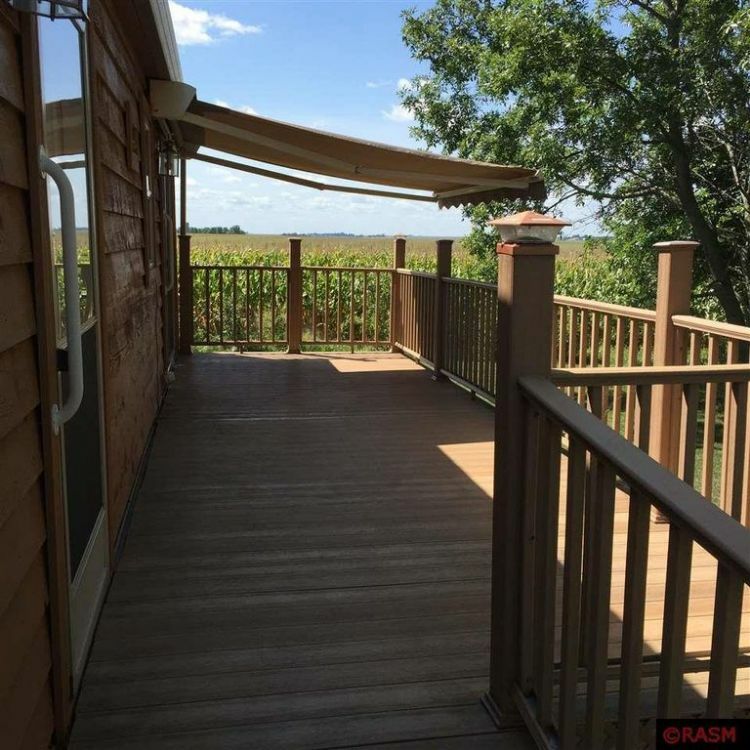 It opens up directly onto the deck and under the awning so that you can entertain, even on rainy days. 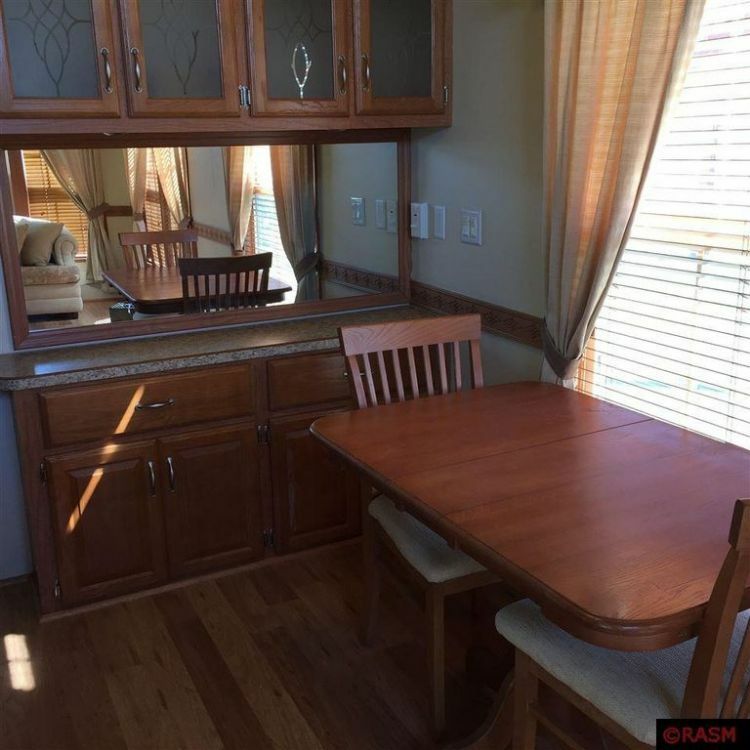 A sweet little dining room setup fits perfectly next to the kitchen. Ah, there's the corner sink that I love so much. 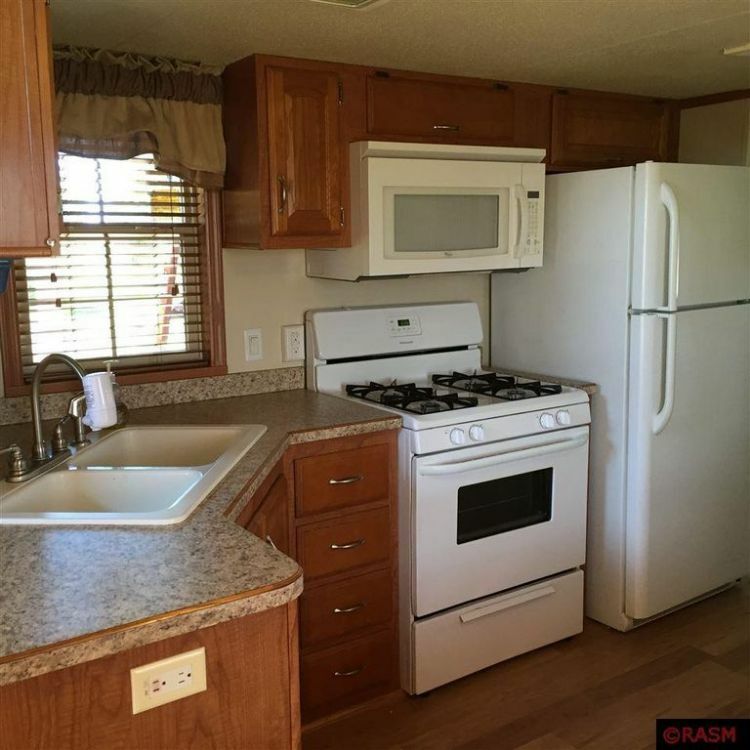 It frees up precious counter space in the kitchen, which is essential when you're vacationing in 400 square feet (37 square meters). 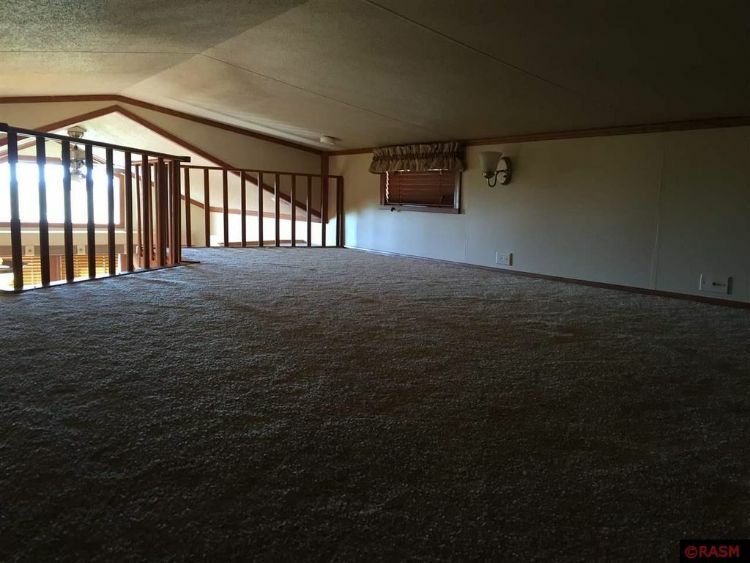 The upper level has great potential as a guest bedroom or second living area. 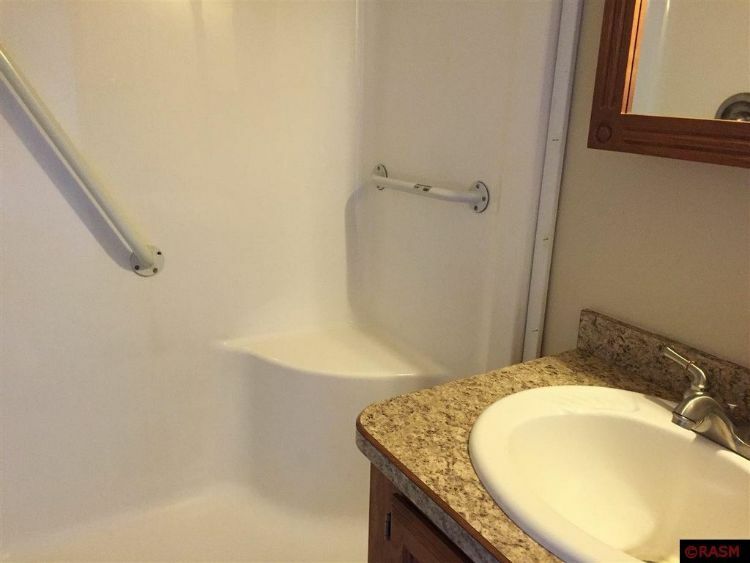 Handicap access to the shower lets those with less mobility enjoy life's everyday luxuries. A generous seat in the shower and guiding handrails make it a safe, enjoyable experience for anyone. 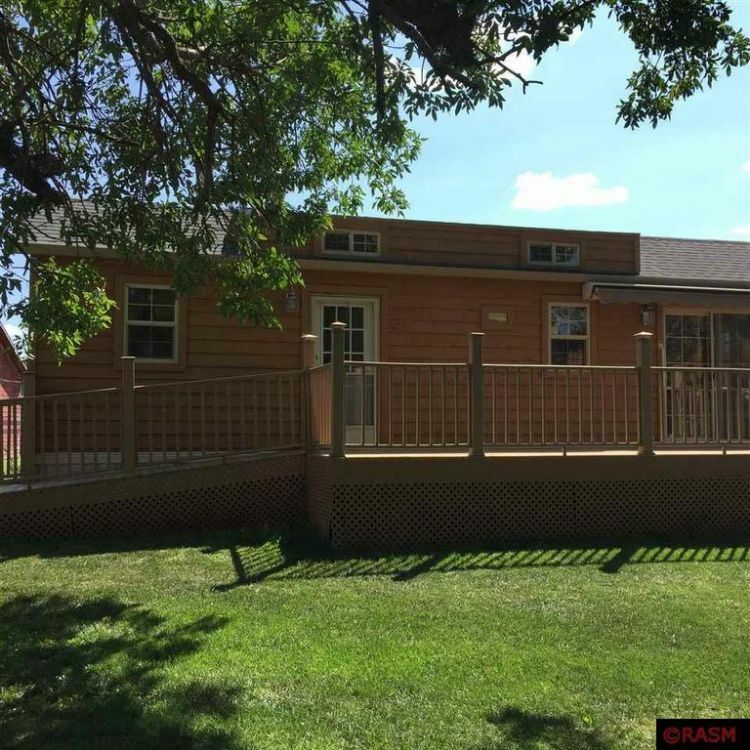 Would you like staying in this Minnesota park model? Let us know what you think! Share this park model with friends on social media, and don't forget to like our Park Model World Facebook page to see more amazing properties like this one.